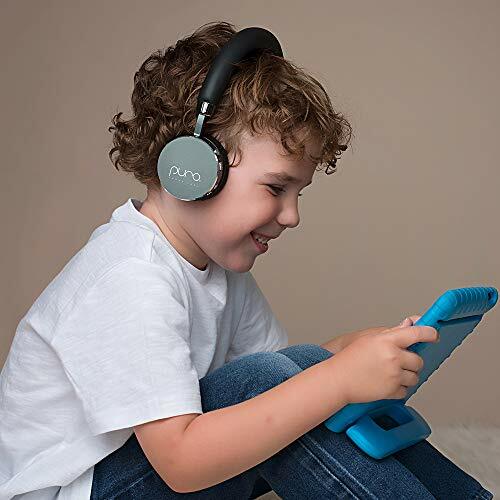 Stylishly designed with high quality materials for wireless listening to ideally grow with your child's needs for learning and multimedia entertainment. 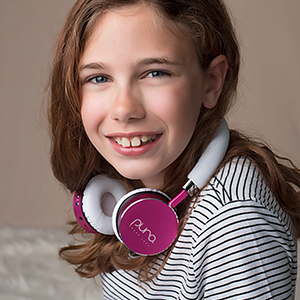 Engineered to have your child in mind, the BT2200 is a cutting edge hearing prevention for young ears. 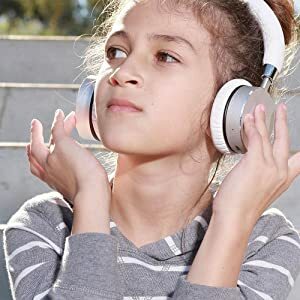 When your child puts the headphones on, they will enjoy clear vocals at a low volume of 85 dB* and under even during air travel as engine roar eliminates. 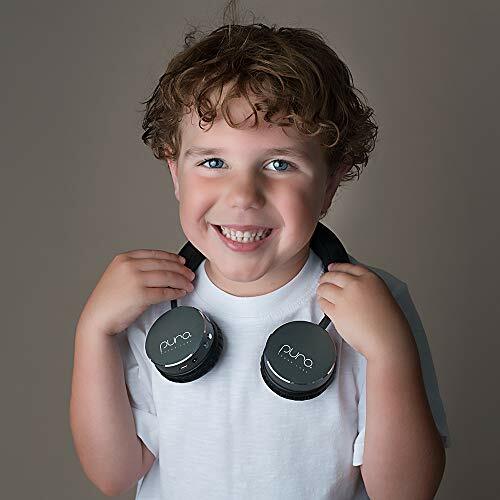 Each pair features an adjustable headband and cushioned ear pads plus durable materials to withstand rough play for children. 85 dB volume control for hearing protection. Wireless mode to avoid entanglement danger. Robust and flexible headband to avoid sudden breakage. 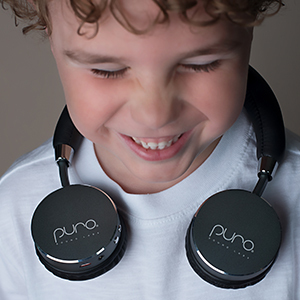 Puro Sound Labs BT2200 comes equipped with a volume restrictor of 85 dB to limit output that your child can not go above. The BT2200 models are made with high quality materials to help prevent the possibility of allergies. 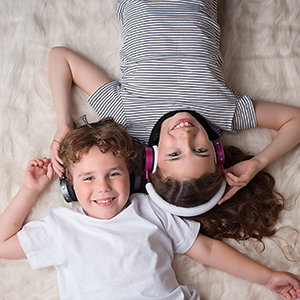 Using the headphones in the wireless mode stops the dangers of possible cable entanglement and tripping. 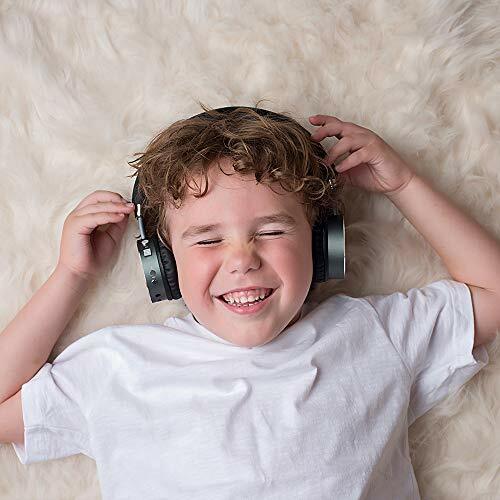 These pairs have ultra-lightweight design for kids to rock out to all tunes without added pressure to head or ears. 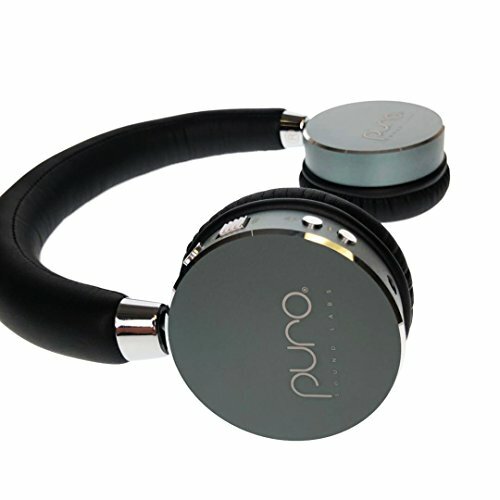 Adjustable headband completes natural, fine-tuned fits and protein leather ear cups stay optimal comfort. BT2200 limits volume but not performance. All sound details are heard crisply at a low volume without muddled treble and bass. 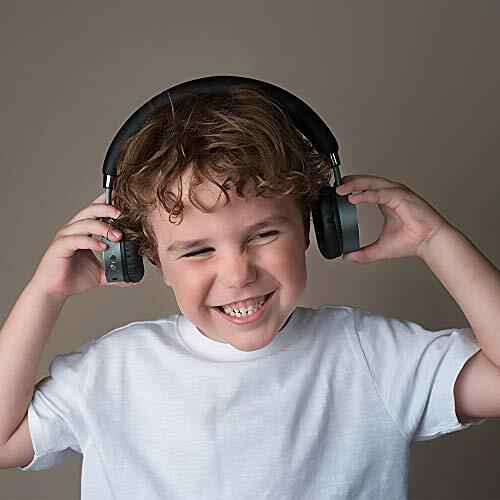 82% ambient noise isolation keeps surroundings quiet and peaceful. 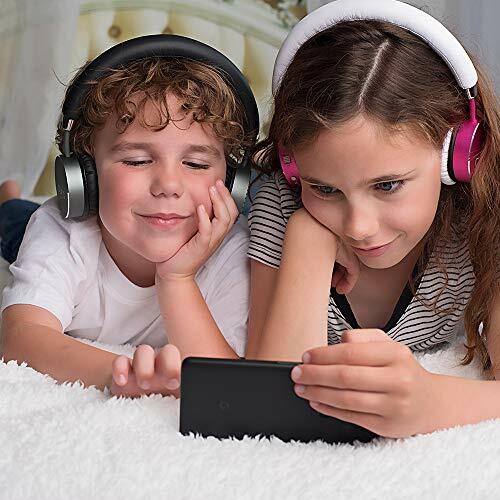 Bluetooth V4.0 pairs with all compatible devices for hassle-free wireless connection. 30 feet range and no dropouts for free move. A 3.5 mm audio cable allows working with virtually all players, smart phones and tablets. All controls are right at fingertips via a Bluetooth button, on/off switch, volume + and volume -. The multi functional Bluetooth control button pauses/resumes playback, answers/rejects a call and transfers the call back to the handset. Up to 18 hours of playtime and 200 hours standby allow whole-day enjoyment with plenty of power left still. 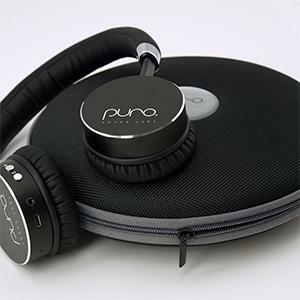 The Lithium ion battery combines with USB cable for quick recharging or Puro Limiter cable for wired use when battery depletes. The portable design makes it exceptionally easy to carry around when hanging on neck after folding flat. The hard carrying case allows safe storage and compact on-the-go travel when not in use. 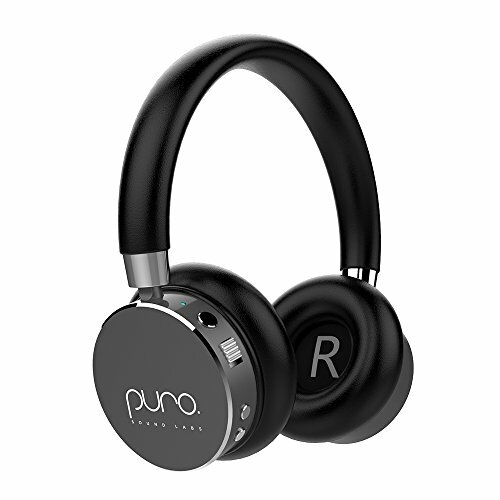 The 40 mm dynamic driver combining with 82% noise isolation renders sounds more clearly, with the dynamic range from 20Hz to 20kHz and less than 1% harmonic distortion. 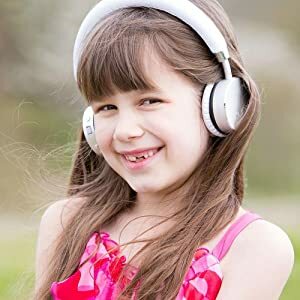 Give kids lifelike audio while listening.